From time to time, most pet owners find it necessary to bathe their pets at home in between professional groomings. Selecting the right shampoo for your pet can be a bit overwhelming with all of the products available on the market today. Your professional groomer will be able to offer you advice on what shampoo would work best, but below is some basic information on a few of the shampoos available. Regular Shampoo usually contains a fragrance, and can be used on dogs that don’t have sensitive skin, itchy skin or allergies. 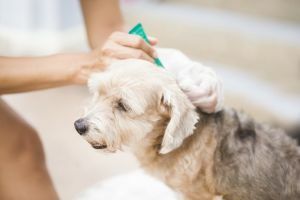 However, dogs with moderately itchy skin may be able to use a general shampoo combined with a conditioning rinse, as long as they don’t have a greasy coat. Conditioners shouldn’t be used on dogs with oily coats, such as spaniels. Deep Cleaning and Degreaser Shampoo rids the coat of excessive oils, grease and dirt. Great for dogs with oilier coats. De-Shedding Shampoo helps reduce excess shedding by releasing and removing loose hair. Oatmeal & Hypoallergenic Shampoo is gentle and recommended for pets with dry, sensitive or easily irritated skin. Anti-Itch Shampoo contains ingredients that will help relieve itchy skin due to allergies and skin irritation. Medicated and Prescription Shampoo is formulated to combat specific skin conditions such as hot spots, bacteria, dermatitis, mange, yeast and fungi. Consult your veterinarian to determine which of these shampoos is best for your dog. 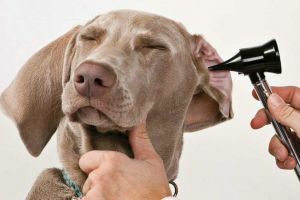 Should your veterinarian determine that a prescription shampoo is needed for your pet, you can bring it to your grooming appointment and your groomer will be glad to use it on your pet. Important Note Regarding Bathing Cats: If you own a cat, be sure to read the label on the shampoo bottle to make certain that it’s safe to use on cats. Many shampoos are toxic to cats and can cause convulsions or even death.